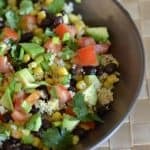 I am introducing you to my absolute favorite way to eat quinoa: black beans, corn, tomatoes, cilantro, green onion, avocado, and a chipotle cilantro dressing. Full of everything that is glorious in life. Can you tell how much I love cilantro? I am sorry if you’re a cilantro hater. I use it often and don’t really have a recommendation on how to replace it. So let’s talk a little nutrition here. It doesn’t get much better than this. Beans are one of nature’s perfect foods. Providing us with plant based protein, fiber, minerals such as iron & magnesium, and a few important B vitamins such as folate and B1. Combining black beans with quinoa is a powerful way to increase fiber in your diet (I’m talking about 10 grams in this bowl of goodness). The avocado supplies our body with a healthy dose of unsaturated fats (the good stuff) and is also a powerful nutrient booster. Avocados are a little like magic. They enable our body to absorb more fat soluble nutrients when combined with other fruits (like the tomatoes pictured above). 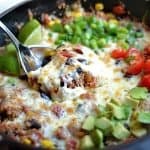 Add avocado whenever you can! 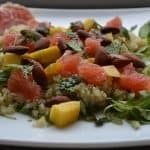 Finally (and perhaps most importantly to some of you), the combination of black beans, quinoa, and the avocado helps us to fill FULL for much longer. They are nutrient dense foods. This makes for an absolute perfect lunch! Speaking of lunch, I would like to give you a tip on eating this for your lunch this week. The recipe below is meant to serve 4 (large servings). If you’re using as a dinner or plan on sharing it with someone, then go ahead and make as is. 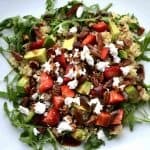 Often times I will make a quinoa salad and use it for the whole week as just my lunch. I’ll prep most of it on the weekend and I keep the ingredients separated. This helps to keep the flavors more fresh. The quinoa is made and put aside in it’s own container, the black beans and corn together in it’s own container, and the salad dressing in it’s own container. On the day of, I chop up these vegetables below, and combine small portions of everything. Boil water or broth and quinoa is small saucepan. Set aside to large bowl and cool. 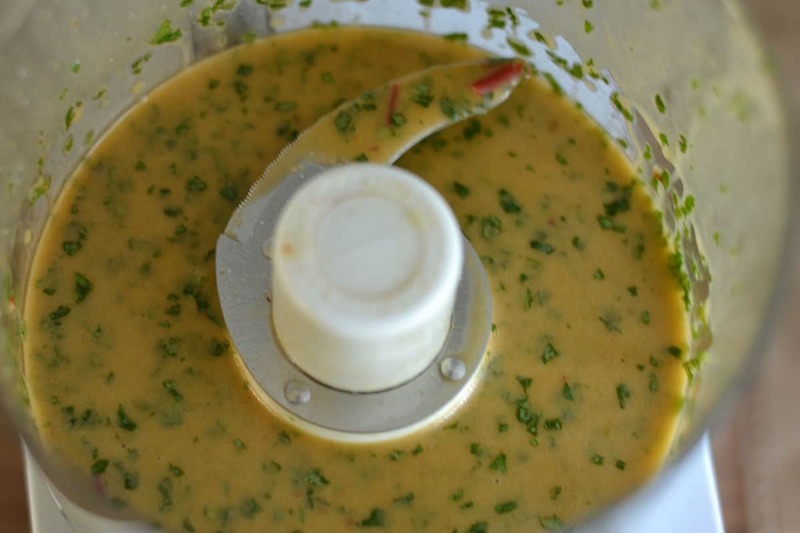 Combine dressing ingredients into a blender or food processor. 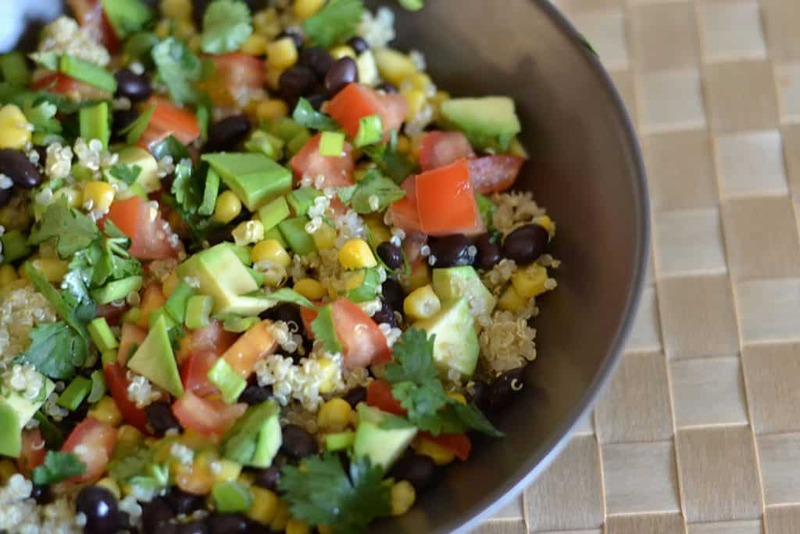 Add beans, corn, tomato, cilantro, and green onion to the cooled quinoa. Mix well. 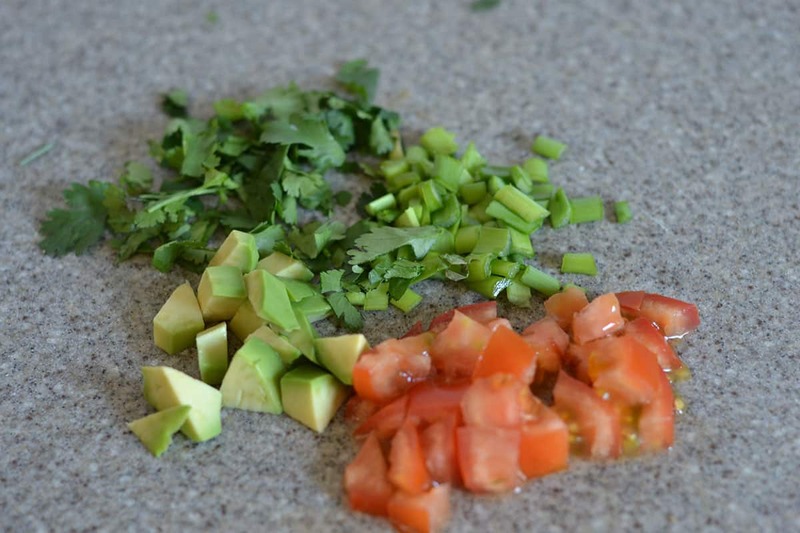 Top with dressing, add avocado to garnish. *If planning on using leftovers, read above blog post on how to keep the ingredients fresh. Also, you may only want to use some of the dressing. Reserve the rest for later use! So, I’m totally one of those people who has to make my lunch ahead of time and this is the perfect portable lunch. I love your recommendation on keeping some ingredients separate, it really helps keep everything fresh throughout the work week. I think I’m most excited about this dressing! I bet it really pulls the whole dish together. Great recipe, can’t wait to try it! Thanks Heather! Let me know what you think when you try! Definitely made this one a few times! Although I had to tone down the heat…even my cast-iron tongue Elaine had to ask for less chipotle peppers…I wound up just using the adobo sauce. 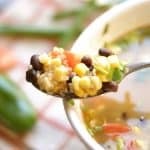 Home Run…the dressing and the corn absolutely made this dish for us! Thanks Amy! 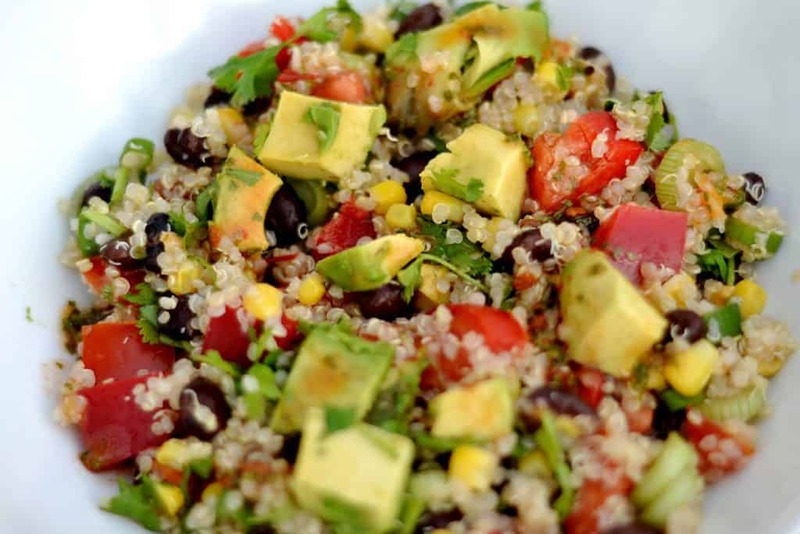 Definitely my favorite quinoa salad…EVER!! I used the Trader Joe’s frozen roasted corn when I made this tonight. This is delicious!! Great recipe! Great recipe though…i loved the idea about the spicy vinegret with ppper!